Email Marketing – Red Button Enter on Black Computer Keyboard. Digital marketing is all about reaching to customers, hence Mailchimp, an email facility which is proving its worth in marketing world so much so that it is overpowering social media. 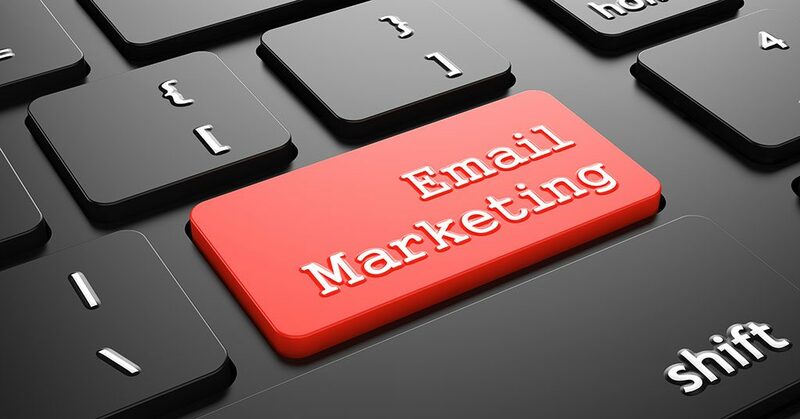 Marketing products through Email is a very common technique now a days. Customers can directly access the website through Email and hence it enhances the quality of your business as well as increases interaction through well-crafted mails and ads. Mailchimp is one such tool which provides help in marketing in a very potent way. As with any standard software it comes in both: free version and paid version, only difference being certain enhanced features in paid version. Every business cannot effectively manage all spheres involved in launching a product such as designing a concept, providing relevant service and developing marketing techniques and hiring marketing team from outside can be quite expensive for a new business. Hence Mailchimp comes to the rescue as it provides ample opportunity for email marketing and its results are also far fetching. Mailchimp is a very useful tool when it comes to campaigning, has easy drag and drop features where you can easily select a predesigned template or get creative and design your own template. This software walks you through each step of setup process and in the end alerts you if you have missed on some major part of the process. Apart from the software one must keep few things in mind like- writing a eye catching subject line though Mailchimp will help you generate congruous and effectual email. One must be clear on the end result or the effect you desire from such campaign because conception of an idea is very important to turn it into reality. In the end Mailchimp allows you to save your campaigns along with features of editing and it also analyses your design at the completion of the task. Regular campaign: It is the basic option in which HTML email alongwith plain-text alternative is sent. Plain-text campaign: As name suggests it sends a plain-text email with no images or formatting. A/B testing campaign: Sends different emails to test various components like subject line,name, email content etc. RSS campaign: Send RSS feed to desired list. From these entire options one can select appropriate template for your design. As said earlier it gives readymade templates with a variety of column designs like 1 Column,1 Column- Banded, 1:2 Column, 1:2:1 Column etc. These lists contain information about all those people who are attached to your product either through subscription or newsletter. These lists are vital instruments of every business and everyone wants to enhance this list as it shows the growth of your product in market.Mailchimp simplifies this task by providing you with segmentation option, very helpful when geographic segmentation is required to differentiate national and local events or promotions. There are variety of ways to analyse the results provided by Mailchimp which is its best feature as these reports allows you to compare variety of industry products simultaneously. It gives reports as in Open rate, Click rate, Bounced, Unsubscribed, Forwarded, Last opened, 24 hour performance, Social performance, Top locations by Open. All these features help in getting maximum optimization of all resources. Majority of marketing emails often land in spam folder. Mailchimp makes sure your ad does not get this treatment i.e. if your mail is sent to spam folder Mailchimp will remove it from that folder.This feature comes in paid version called ‘Inbox inspector’. Apart from this specify their clientele because working for a set audience is preferable. As Mailchimp gets you location of the user, one can target them according to their demography. Mailchimp is an awesome email marketing tool which gives certain unique features which are not only helpful in crafting promotional emails but also helps in analysing all market trends.